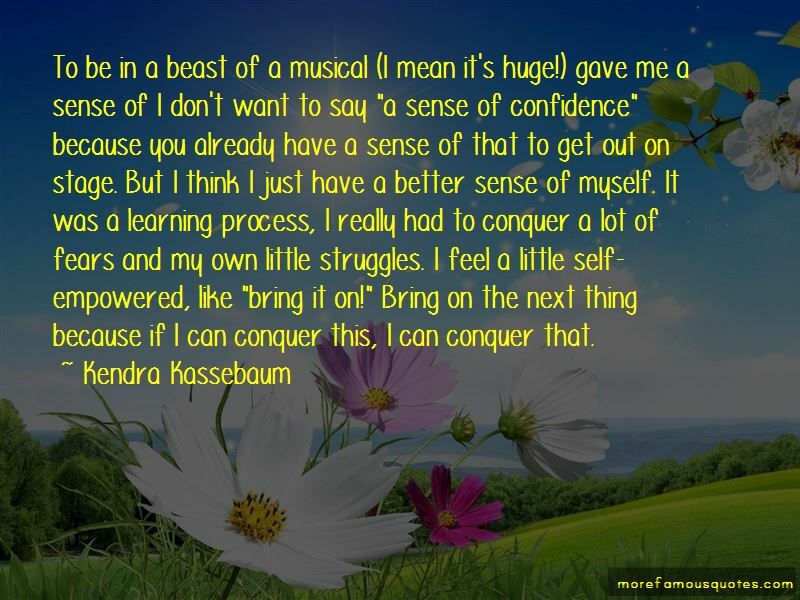 Enjoy the top 7 famous quotes, sayings and quotations by Kendra Kassebaum. First of all, it's a blast. Just fun; it's a good environment to play. And Jayne and I have a great time together because we're somewhat familiar with each other; that's a fun and comfortable place to start at when building our relationship. Everyone's incredible and they're good at what they do. I'll be geeky right now too, because I love Sondheim. Anything he does I had a blast, because every time I do a show of his, I learn something about myself because he's philosophical. During that show, the cast was incredible Hugh and Dan Levine (who I played opposite of), all of us clicked and I love the show. To be in a beast of a musical (I mean it's huge!) gave me a sense of I don't want to say "a sense of confidence" because you already have a sense of that to get out on stage. But I think I just have a better sense of myself. It was a learning process, I really had to conquer a lot of fears and my own little struggles. I feel a little self-empowered, like "bring it on!" Bring on the next thing because if I can conquer this, I can conquer that. 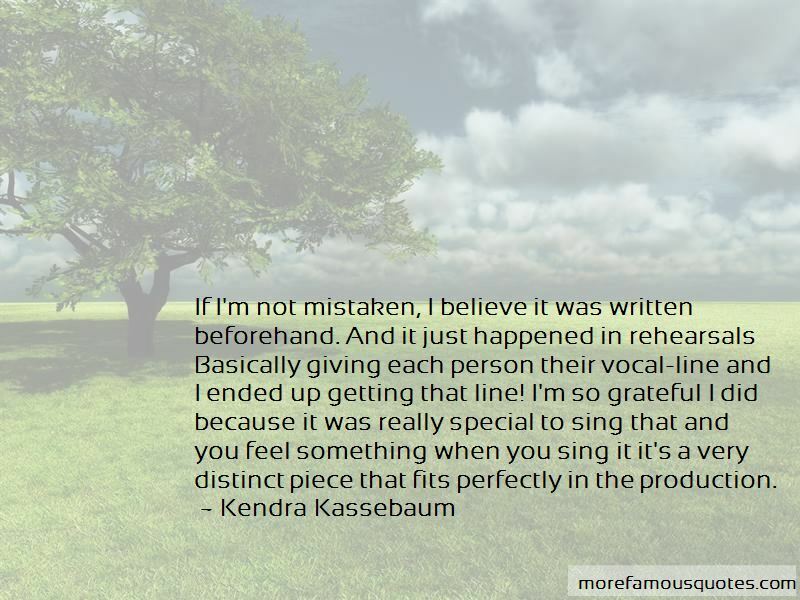 Want to see more pictures of Kendra Kassebaum quotes? 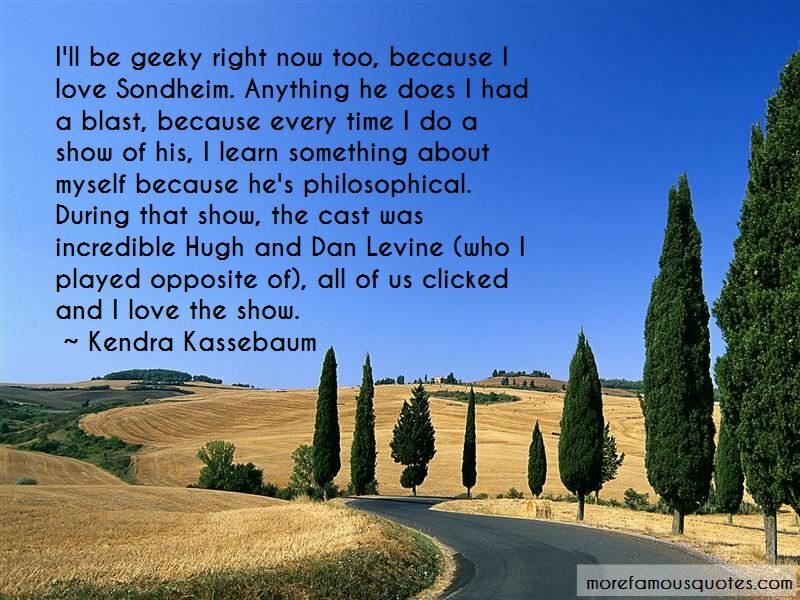 Click on image of Kendra Kassebaum quotes to view full size.